This group interview was conducted at Valnalon while a delegation of students from both schools were participating in a transnational learning experience under the umbrella of the EU-funded project ECOOPE, Youth Cooperative Entrepreneurship. Hi, we are Fernanda Moreira and Margarida Barroso. We teach Geography and History respectively at EBS Pinheiro, a public Primary and Secondary Education school located in a rural area 40 km east from Porto. Our school caters to 1200 students from low socio-economic status of families which makes teaching a challenge. And we are Marisa Oliveira and Elisabete Rodriges. We teach Maths and French at Colegio Nostra Senhora de Bonança, a catholic primary and secondary school located in a rural area north from Porto. We have 800 students. What’s the best context to develop this sort of competences? Curricular, extracurricular? Projects? We want our students to develop argumentation, inquiry and critical thinking skills and be responsive to social challenges. In our opinion this is not possible in a traditional classroom setting alone. We want our students to experience learning in real contexts and projects come in handy. Our projects are multidisciplinary and give students the opportunity to interact with different types of people. Day trips and study visits are also important as students need to realise learning happens both inside and outside the school walls. From a teaching perspective, this requires taking a step back and embracing curiosity and discovery as central values in the learning process. We may equip our students with some tools but they need to be in charge of their own learning. Projects that integrate contents from different areas require careful planning and some flexibility to rearrange curricular contents and timetables. But curricula, learning standards and timetables seem to be set in stone and they are seen as constraints by most of the teachers we talk to… How does your school approach this? 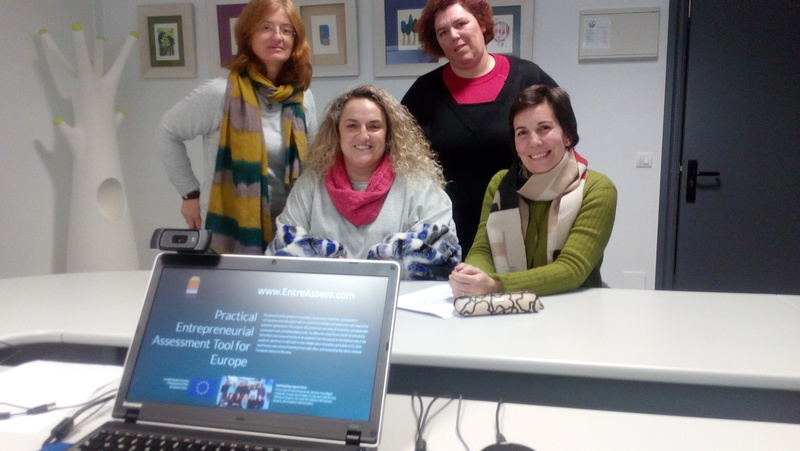 Well, our school (EBS Pinheiro) is one of the piloting schools in Projecto de Autonomía e Flexibilidade Curricular (PAFC) (Project on Curricular Flexibility and Autonomy). This is a nation-wide scheme launched by the Ministry of Education this year. It is designed to allow more flexibility and encourage cross-curricular teaching. This means schools have the freedom to tinker with up to 25% of curriculum of a given subject area. So, let’s say we want to design a project involving three different subject areas during this term. We know the total teaching time for each subject, we calculate the 25% and we can combine the resulting amount of hours any way we like. In any case, you have to bear in mind this is a carefully planned process. We are asked to describe in very precise terms what we intend to achieve, why, and how are we going to assess it. Content-wise we can move things around too. If needed, I may take content from the third term and integrate it in our project for the first term. We have also freedom to decide how we distribute this 25%. Some schools do it weekly but we chunk it at the end of the term. Timetables are rescheduled to accommodate new projects for the new term. What do you exactly assess and how? There are two things we assess simultaneously: knowledge and skills. Let us give you an example. Two weeks ago, we launched a project about states involving English and Geography teachers and a group of students. We assessed content (grasping the concept of latitude, longitude) but also ICT Skills as students had to be able to work with Google Earth and information gathering and processing skills. The ability to locate and analyse information was also assessed using a rubric and represented 20% of the final mark of the project. That’s what we find more complicated, striking the right balance in the weighting of items. In our opinion reaching a consensus among teachers involved is absolutely crucial here. 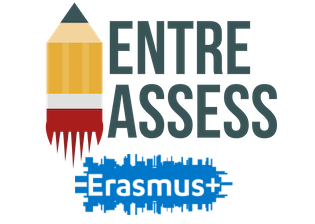 What are your favourite assessment tools? Attitudinal aspects are very important for us. We use rubrics, observation grids but we want to improve integration of formative assessment methods. Traditionally a lot of effort is put into assessing knowledge, but knowledge is only valuable if coupled with the development of competences. So right now, in our school, knowledge, skills and attitudes are equally weighted (33.3% each, e.g. in Geography). Yet changing this paradigm is difficult. Some families are reluctant as they fear this renewed focus on skills and attitudes may have detrimental effects on their children learning and impact negatively on their chances to access university. When and how often do you assess these competences? Every term we have an intermediate and final assessment. The teaching team meets twice per term to discuss competence development of every student on an individual basis. Mid-term assessment is only qualitative; no marks are given. Parents receive a written report where teachers outline specific strategies to improve students’ performance. To what extent are students actively involved in the assessment? What about other stakeholders? Students are asked to self-assess at the end of the term. On top of that, every project we do includes self-assessment opportunities. However, when it comes to marking, self-assessment is not combined with teacher-directed assessment. We use it primarily to double-check if we are right in our perception about a student. We have also found some students have a really hard time in identifying their level of performance. Some tend to underestimate themselves while others hold themselves in far too high esteem. Parent representatives participate in this mid-term assessment meeting. And just recently, parents receive access so that they can follow the session via streaming. We are also used to being observed by a colleague. Teacher observations happen twice per term. It is reciprocal, I observe a colleague and she observes me. This is followed by a face-to-face meeting to discuss and improve our teaching and assessment strategies. Do you feel you’re well trained in competence-based assessment? We need more training, for sure. There’s not a lot of training opportunities and courses tend to be too theoretical. So we sit down and listen instead of putting skills into practice. It would be great to have the chance to work with other colleagues and build things together. Again, it’s a matter of time. Training comes to an end and we simply cannot devote time to reflect on what we’ve been told, let alone considering the option to put things into practice. Progression, that is to say, envisaging a coherent and gradual acquisition of the competence is a challenge. What’s your opinion about this? Right now progression is simply not discussed at all but it will be very important to make clear to our students where they are heading. The big problem here is lack of time. There’s some many things we have to do as teachers that we can only but skip things as important as this one. Our teaching workload is huge but we definitely need to find some time to sit down, discuss and plan what can be done about progression. Fernanda, Margarida, Marisa and Elisabete spoke to Valnalon’s Ivan Diego.